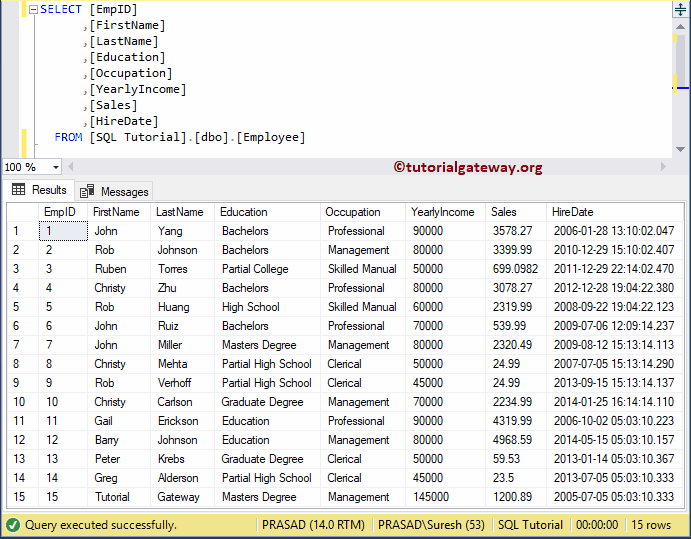 The SQL TRIM is a String Function, which is used to remove empty spaces or special characters from both left side and Right side of a string expression. 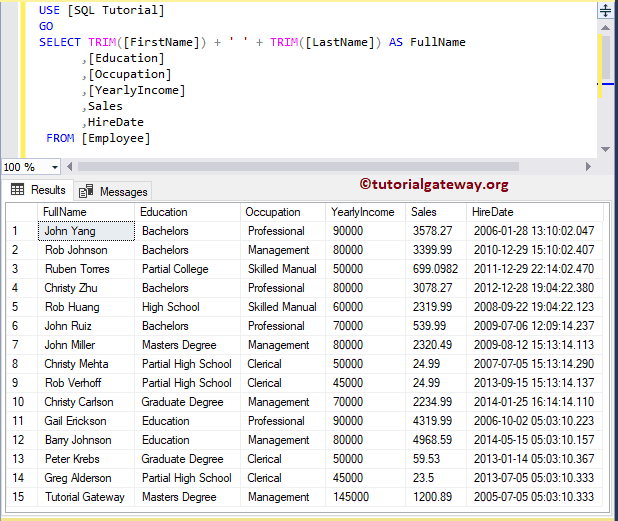 In this article we will show you, How to write / use SQL Server TRIM with example. Character_Expression: Please specify a valid Expression on which you want to remove empty spaces or special char caters from left and right side. The String TRIM Function removes space or any special character from the left and right side of a string. The following query will show multiple ways to use TRIM function. In this example, we are using Trim function to remove special characters from a string. This example will show you, How we are going to use the String TRIM function on Column Names. In general, we may get data with some extra spaces due to typing mistake, or any other data entry issues. If this is the case then you can this TRIM, or RTRIM or LTRIM to trim those extra spaces.